Emergency Neurosurgical Specialists is the preferred choice for neurosurgery and pain management in Coral Gables, Florida. Miami neurosurgeon Dr. Mark Shaya is available for consultations with both U.S. and international patients. Dr. Shaya also conducts medical chart reviews and provides his expert opinion regarding neurosurgery for brain, spine, or cervical conditions. Consultations may be performed over the phone or via web conference, Skype, or FaceTime. Dr. Shaya can review medical records received through email or accessed from a downloading service such as Dropbox. If you are a candidate for neurosurgery, Dr. Shaya is highly recommended by patients worldwide. He has performed countless neurosurgery procedures with excellent outcomes, working in the best-rated hospitals in South Florida. For a consultation with Dr. Shaya, call our Coral Gables office for an appointment today: (305) 325-4873. 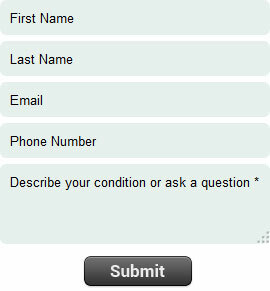 If you prefer, you can use our online appointment request form to get in touch with Dr. Shaya right now.